The world's top scientists and researchers are always pushing to discover, prove, and create innovations in the world of science and technology. Their breakthroughs alter life on earth and change our perception of reality. The greatest scientific discoveries are an inspiring testament to the profound capabilities of the human mind. Each year, scientists make incredible discoveries. What scientists learned in 2017 could help them make new advances in 2018, and scientific discoveries in 2018 can influence 2019 scientific advancements. This list of 2019 scientific discoveries features breakthroughs and recent informative works that span a wide range of disciplines. From learning new things about the worlds beyond our planet to unlocking possibilities within our very cells, Some discoveries brought about a more rich understanding of our past, these breakthroughs will give you hope for the future even in bleak times. The latest in science news is inspirational for a new generation of thinkers who will continue to push the boundaries of human capability. Read on to find out the biggest discoveries of 2019 and the latest scientific advancements. A research team at Yale University took it upon themselves to study the Restoration of brain circulation and cellular functions hours post-mortem in pigs. They found that "a surprising amount of cellular function was either preserved or restored" which implies our pervious understanding of neurology that all cellular activity stops once oxygen is cut off is extremely limited. Organizational thought and consciousness was not preserved and researchers were careful to avoid stimulating such activity. Still, the ethical implications of post-mortem molecular function call into question the laws in place regarding animal welfare and even protection against humans who have been declared brain-dead. Using 32 pig heads obtained from pork processors, the team cleansed and isolated each brain before hooking up "key blood vessels to a device that pumped in a specially formulated chemical cocktail for six hours, starting about four hours after the pigs [passed]." The technology used in the study is called BrainEx. Although awareness that the molecular restoration of brain function is possible post-mortem can be ethically complicated, it also "offers a new way to study brain diseases or injuries." Regardless, the distinction between a "living brain" and a "cellularly active brain" is essentially the same difference between "mostly dead" and "all dead," and the term "mostly dead" does not commonly provoke a positive connotation. The second patient ever to be cleared of HIV infection signals that a cure is possible. Both patients were free of the virus that causes AIDS after a bone marrow stem cell transplant from a donor with a rare genetic mutation of the CCR5 gene. The first patient to experience this was a man from Berlin, Timothy Brown, who underwent the procedure over a decade ago. Brown stopped taking the antiretroviral drugs used to suppress HIV and has remained virus-free. The second man is an unnamed patient from London, who stopped his medication 18 months ago and has not shown any signs of the virus returning. As bone marrow transplants aren't a scalable solution to HIV, scientists are hoping that these are the first steps to "a safe, cost-effective and easy strategy to achieve these results using gene technology or antibody techniques." Currently, a daily pill is needed to keep a person with HIV healthy and ensure a normal life span. An article published in Nature on March 5, 2019, details both how the stem cell treatment works and what the possibilities are for what comes next. 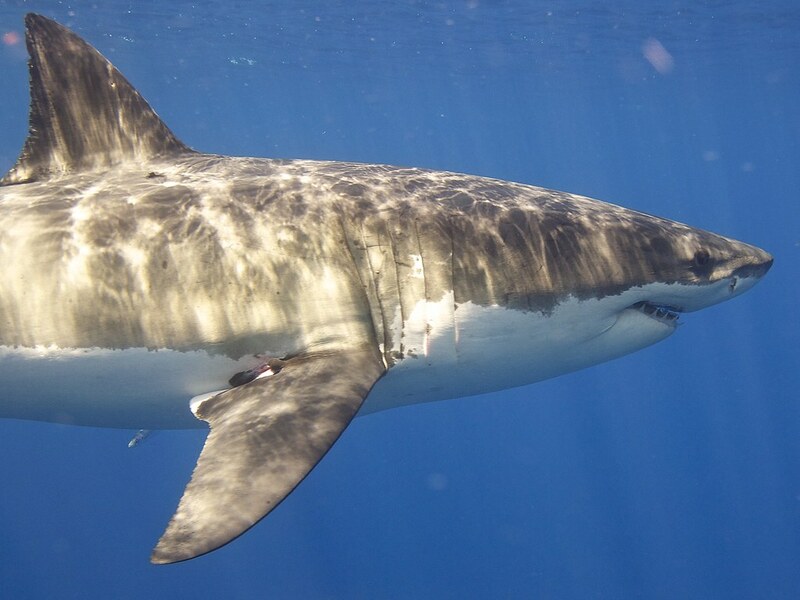 On February 18, 2019, scientists announced that they had finished decoding the genome of the great white shark. As the Earth's largest predatory fish, the evolutionary success of sharks suggests a wealth of possible genetic information from enhanced wound healing to a remarkable tolerance for DNA damage. All of this genetic information means that the great white has a genome 1.5 times bigger than that of humans. Sharks as a species have been around for over 400 million years. The genetic adaptations they have developed in that time, that scientists have now decoded, offer many possibilities in the world of health and medicine. Supplied with their own air, water, and nutrients - as well as yeast and fruit fly eggs in an attempt to form their own self-sustaining biosphere - cotton and potato seeds sprouted their first buds on January 14, 2019. What was remarkable about these plants is that they're doing it on the moon, though not directly in lunar soil. This is the first time plants have germinated on the moon, another first for China's Chang'e 4 mission. These plants are important for learning how well humans can grow food on the Moon - something that could be important as we further explore space. Learning how the Moon can be established as a jumping-off point for other planets is especially important for China, who hopes to eventually send manned missions to Mars.